This is the Baby Beau Isabelle Changing Bag in Black Canvas, which is a large multifunctional and luxurious bag, made of a lightweight canvas material (much lighter than my previous leather Storksak Elizabeth Changing Bag), with leather detail and gold hardware, lots of internal compartments and two external side zipped pockets. Although this is at the higher end of the budget, the Baby Beau Isabelle is versatile, so you can use this as a hospital bag, a changing bag or a regular bag. It also comes with several premium extras, which in my opinion justify the price of the bag, such as a changing mat with a detachable leatherette nappy organiser, a leatherette bottle holder and a detachable zip pouch. 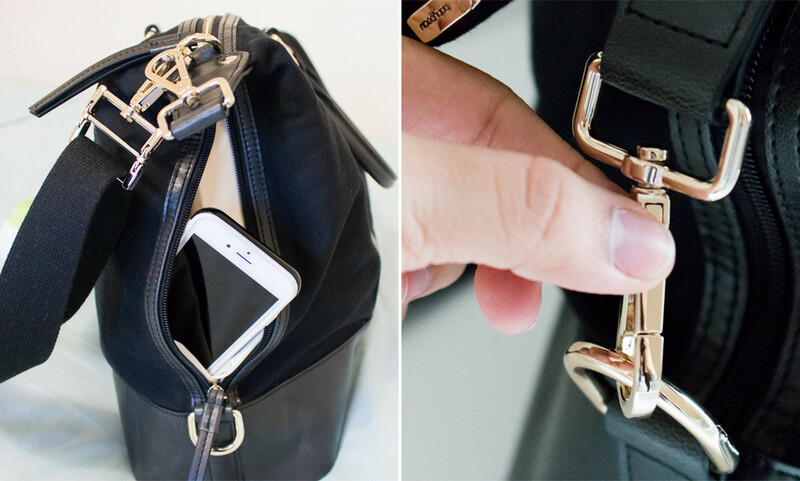 The main part of the changing bag is removable, turning it into a regular bag for work or for weekend trips. The inside of the bag is water-resistant and the outside looks durable and hard-wearing, although the canvas material may not be the easiest to clean and it may stain. What’s really cool about the BabyBeau Isabelle Changing Bag is that, by releasing the claps on the sides of the bag, it changes shape, becoming even more spacious, so you have more room for those extra nappies, toys and changes of clothes if you’re out of the house for a while longer. 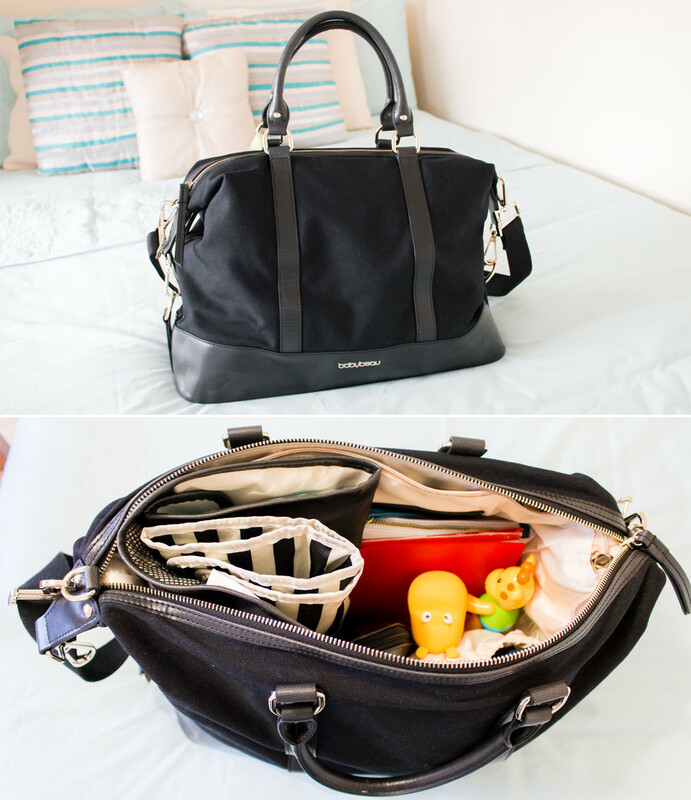 Overall, I couldn’t be happier with the BabyBeau Isabelle Changing Bag! 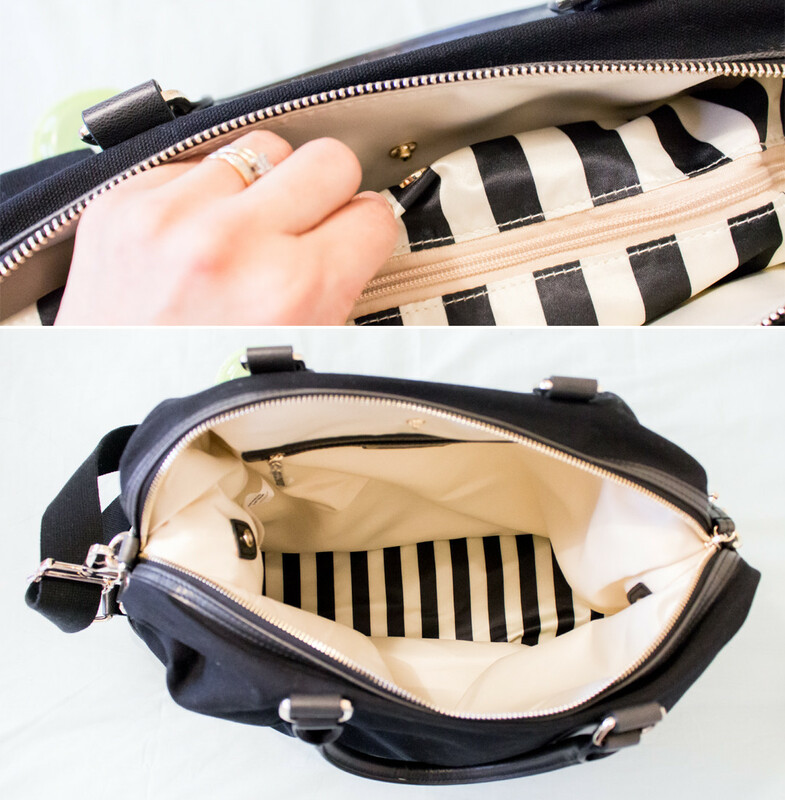 I’ve been looking for a lighter and equally luxurious replacement for my Storksak Elizabeth, and I’m so glad I came across BabyBeau, as this changing bag ticks all the boxes for me. The only downside for me is that, although the canvas material makes the bag lighter than a leather changing bag, it’s not as light as I expected because of the leather details on the base, buckles and handles, and it’s not as easy to wipe clean. They have lots of other styles of changing bags, which you can browse on the BabyBeau website. We know all too well that babies come with a lot of stuff, and I’m always carrying around the whole house with me when we go out, you know, just in case. 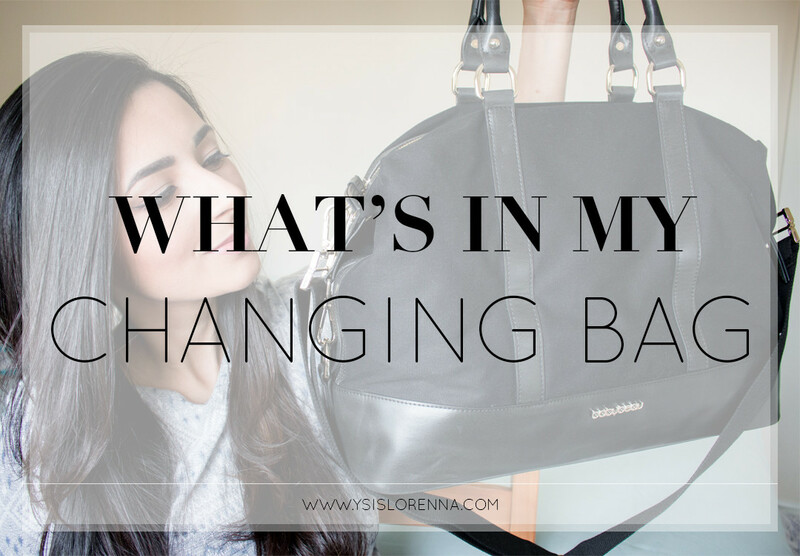 Seeing as I have a brand new shinning changing bag, I thought this would be the best time to show you an updated version of what’s in my baby changing bag. James was 4 months old when I did my previous one, and what we carry around with us has changed quite a bit now that he’s 8 months old, so if you fancy having a little look inside the bag on camera, press the play button above or click here to watch the video. What’s in your changing bag? 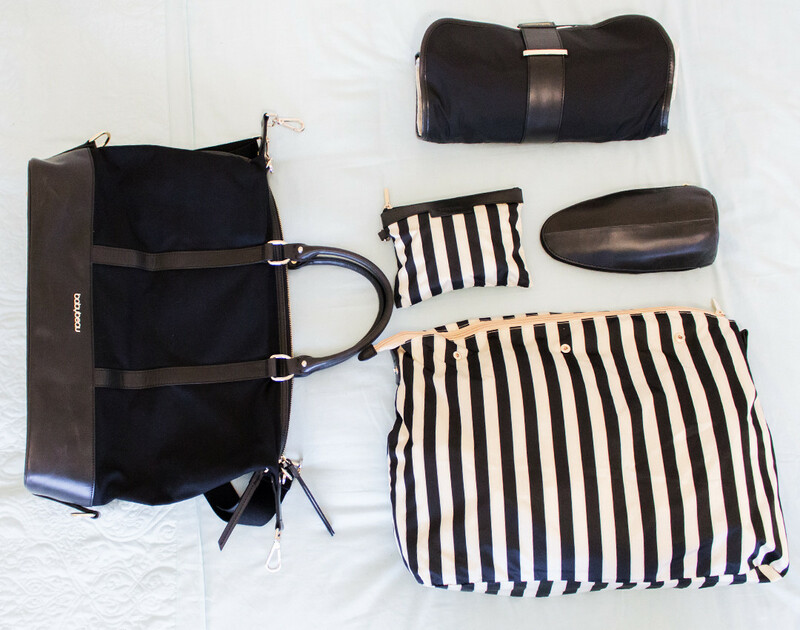 What are your changing bag essentials? 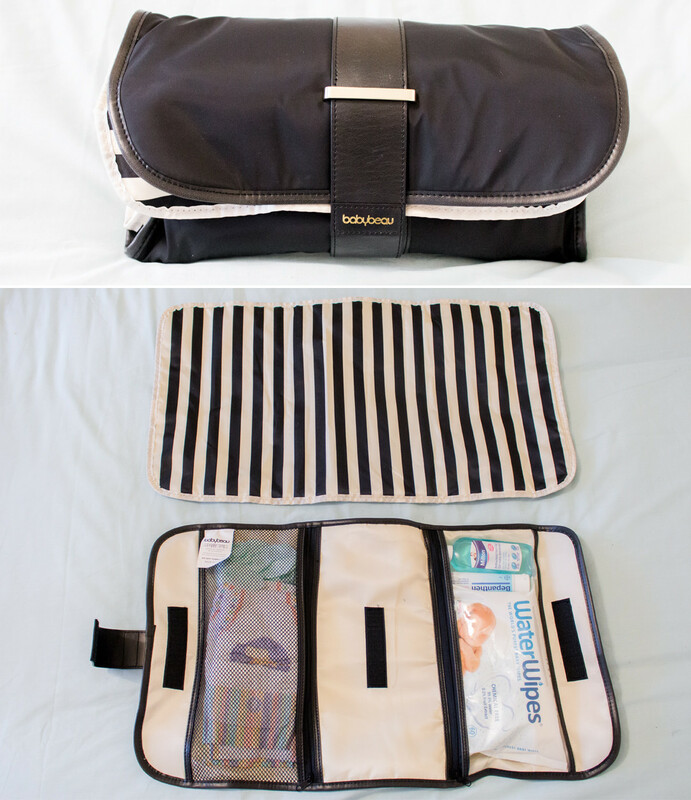 Have you tried any BabyBeau changing bags?